Dental bonding is a putty-like material-attaching procedure for people who want to maximum results and it’s one of the easiest and most cost-effective procedures. The term is widely used in dentistry to describe permanently attaching materials to teeth using adhesives and it uses a material, called composite resin, which can be shaped and polished to match your teeth. It is used to improve the appearance of a discolored or chipped tooth or to close spaces or gaps. It is fast, painless and highly effective which can also be completed in a single visit allowing the immediate repair of a cracked tooth or teeth. During the process, your dentist will roughen the tooth’s surface and attach a thin coat of plastic or resin that is hardened by applying a special light. The various reasons for the cosmetic procedure is basically to address issues such as to fill cavities, close gaps, improve appearance by teeth whitening, and alter the tooth shape, among others. 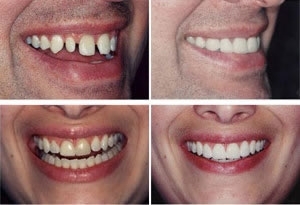 The procedure involves simply adding a composite material to fill in the blanks, such as a gap between front teeth. 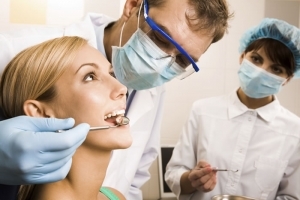 No preparation of the tooth surface is required, and anesthesia is often not needed. It is applied directly to your tooth and cured to its final hardness, usually with a light. If the purpose is to address periodontal or tooth decay, then preparation of the tooth surface is required to remove the decay and often freezing is needed to adjust the procedure for your comfort. The natural, porous surface of the tooth creates a certain roughness that allows a resin to lock onto the surface where the clear bonding is applied. Once a color is chosen, the surface of your tooth is cleaned and conditioned and an agent is then brushed onto the surface of the tooth with a special dental light. This helps the resin material bond to the tooth and the material is shaped into your tooth surface and cured with the light, for hardening. After which, the steps for final shaping and adjustments are made. Your dentist will trim and polish the bonded material into the desired shape. Your bite is evaluated and adjusted as required. It is important to note that resin fillings can be stained by food such as tea and coffee; keep in mind to avoid cigarettes. To help reduce several types of staining, make sure to brush and floss your teeth on a regular basis and do not miss your regularly scheduled dental cleanings with your practitioner.